The Miyetti Allah Cattle Breeders Association yesterday welcomed the open invitation of the Kano State government to cattle breeders to relocate to the state for the purpose of continuing their business. 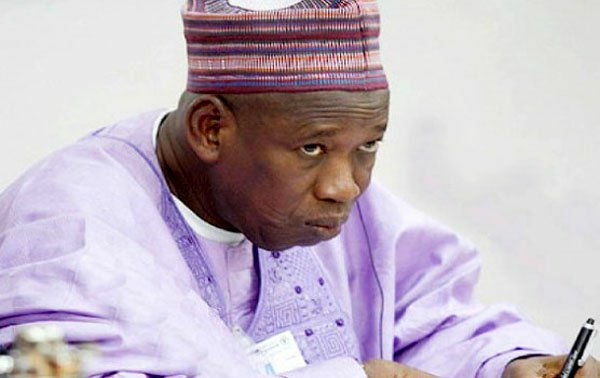 Governor Abdullahi Ganduje had said earlier in the week that he is ready to accommodate as many cattle breeders as possible in the Falgore Forest for their business. Spokesman of the Miyetti Allah Cattle Breeders Association, Ngelzama Usman, described the gesture as a welcome development, although it does not sit well with the Gan-Allah Fulani Development Association, a vibrant offshoot of the Miyetti Allah Cattle Breeders’ Association (MACBAN). Secretary General of the Gan-Allah Fulani Development Association, Alhaji Saleh Bayari, said the offer is neither feasible nor acceptable because the Fulani,like other Nigerians, have a right to live and do business in any part of the country. He said restricting them to one corner of the country is an infringement on their right. The Fulani in Enugu State are also not disposed to leaving the state for Kano or any other part of the country. Their spokesman, Alhaji Sanusi Sambo, said they are at home in Enugu because the people and government of Enugu State are very hospitable and have created a conducive atmosphere for them to operate their businesses. Usman, speaking on the phone, told The Nation that Falani are peace-loving people. His words: “It is a welcome development because at a time when some people are chasing our members out of their states, some other governors are opening wide their hands and embracing our members. “This is not coming from Kano State alone. Even the governor of Kogi State has also opened the door to our members. This goes to show that our members are not terrorists. Our members are peace-loving people who are going round the country doing their legitimate business. “They move with their cows which are their only source of livelihood together with their wives and children. “You don’t expect a pastoralist who moves about with his family and only source of livelihood to go about fomenting trouble. “This is the narrative we want the media to be passing on. What is going on in the media is against our members, but we are happy now that the media is trying to balance the whole thing. In a separate interview, Alhaji Bayari said: “We are quite appreciative of his (Ganduje’s) concern for our people, but if we all continue on that note, we will not have a country. “We will not have a country, or a nation because it simply means that tomorrow, when you harass some Yoruba who have been living in Jos for generations, or some Igbo living in Kano or Sokoto, their state governors will just tell them to relocate. “Then, at the end of the day, we would have as many countries as the number of tribes that we have in Nigeria and that would not augur well for us as a country. Spokesman of the Miyetti Allah in Enugu State, Alhaji Sanusi Sambo, said: “As you can see many of us were born here. Many are inheriting the cattle business from their fathers.